DESIGN, INSTALL, MAINTAIN. WORKING IN ALL SECTORS, DOMESTIC, COMMERCIAL & INDUSTRIAL. PROVIDING A COMPLETE SOLUTION. EICR REPORTS AVAILABLE AT COMPETITIVE RATES. 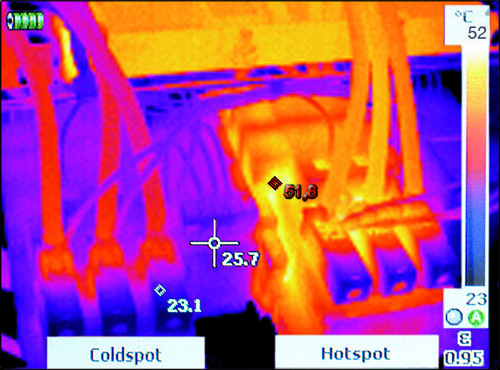 THERMAL IMAGING INSPECTIONS ALSO INCLUDED FOR COMMERCIAL AND INDUSTRIAL REPORTS. PREVENTING FAULTS AND BREAKDOWNS BEFORE CAUSING AN ISSUE. We offer a full scope of work from extra sockets or lighting points in your home, or complete electrical installations providing wiring containment systems, distribution and final circuits right through to inspection and testing. Installing a wide range of lighting and power circuits to IP CCTV, and Monitored Intrudered Alarms. with clients and are carrying on working together on another successful project.